If you run a business, whether it’s large or small, the security measures that you put into place to keep it safe from crime and other forms of disruptive activity are extremely important. Business such as offices, however, will feel the effects of poor security solutions more so than larger ones. Thefts, fires and break-ins cost organisations millions of pounds every single year, so offices would be making a wise investment to install proper and effective security measures. Here at IDS Security Systems, we offer a comprehensive range of security measures that will ensure your office is adequately protected. Take a look at the options we have for you to choose from below! Access control systems are incredibly valuable within an office setting, as they allow access to your premises to authorised personnel only – this is a perfect option for an office that contains private and sensitive information. Access control systems come in various forms also, which makes them a great option for a range of offices. From fully computerised multi-site networks of control points to internal doors, we have the access control system best suited to your office. We utilise the latest security technologies such as biometrics and key fobs to ensure that your security system is up-to-date, offering maximum levels of safety. These are a simple yet very effective means of keeping your business secure and to detract criminal activity. With surveillance technology progressing massively in recent years, there is no better time to implement a network of CCTV cameras around your office. We are continuously implementing the latest developments in CCTV technology such as fibre optic transmission and digital recording to provide you with contemporary solutions that you can place your entire trust and have full confidence in. Intruder alarms are also a great measure when it comes to protecting businesses like offices. 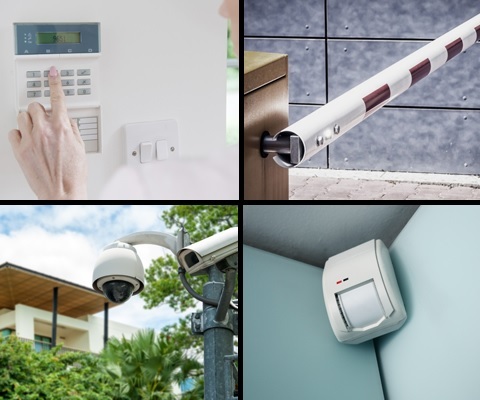 We are able to create a bespoke system with our state-of-the-art intruder alarms, to be installed and maintained by a team of experienced professionals. These systems are extremely effective as they are able to be monitored around-the-clock from our monitoring station, giving you peace of mind that your office can always be observed. These are particularly effective at detecting people who are not authorised to be on your premises. With fires contributing to countless injuries and deaths every year, particularly within offices and other workplace environments, it is imperative that a proper fire safety measure such as an alarm is present within your business. It is also required by law, under Section 4 of the government’s guide to fire safety in the workplace, to have a ‘fire detection and warning system.’ The type of system depends on the building and the nature of the work that is carried out within your business. To get a better understanding of the exact fire alarm solution you need, help and advice from experts such as IDS Security Systems are available. 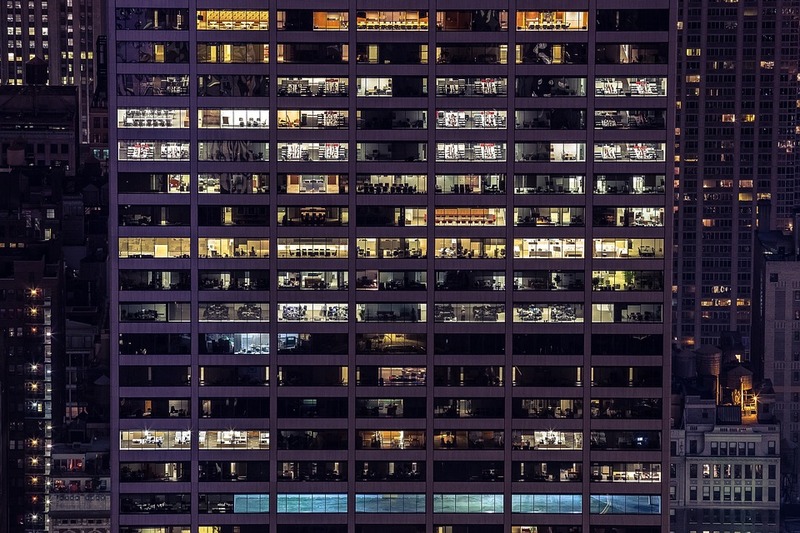 Each one of these security measures will go a long way to protecting your office. To make the levels of a safety for your business even greater, why not combining a number of these solutions to create one bespoke, comprehensive office security system? Contact us today by clicking below to submit your enquiry form! Many business owners focus only on things like profits, productivity, and keeping ahead of the competition. This is understandable - time is money, after all - but it does mean that the crucial matter of security sometimes falls by the wayside. Business security is a multifaceted, potentially complex issue to which some turn a blind eye until it's too late. A simple solution sometimes isn't enough - a single CCTV camera or burglar alarm can't protect your business as well as a fully-integrated system that combines a number of different security products into the perfect solution for your business. Why do you need an integrated security system? Improved Productivity - An integrated system can help to boost the productivity levels of your employees, with increased monitoring having a positive impact on customer satisfaction and employee performance. Conflict Resolution - A multifaceted security system makes it easier to monitor actions taken in the workplace, leading to improved conflict resolution if necessary. Centralisation - With the implementation of an integrated security system, your company's security will become more centralised rather than having to report to different areas. This saves management time and allows the business to be more organised. Theft Deterrence - Theft is an ever-present fear for all business owners. A good security system can be tailored to the needs of your operation, minimising the risk of burglary. Real-Time Monitoring - With an integrated security system, businesses are able to see the activities of their premises instantly whenever needed through the use of computers, smartphones and/or tablets. Here at IDS Security Systems, we offer bespoke security solutions for all kinds of businesses. If you require a fully-integrated security system, we can help - contact us today to request a free quotation. We know it can be hard choosing the right security system for your business, so we've created this helpful infographic to show you all the important security bits you need to consider! This should help you identify which security features your business needs. Taking the right precautions to protect your business is important to keep your livelihood and employees safe. A combination of security systems is the best way to ensure your business is protected. See why each security system is beneficial below. CCTV cameras monitor specific areas around the clock. Keep an eye on your premises at all times even when no one is around to watch. Gain control over who can enter your property with an access control system. Knowing who has access to your place of business increases feelings of security in the workplace. If someone is attempting to carry out a crime at your business property you want a system in place that will let you know as quickly as possible. • Alert authorities and passers-by that your property is being targeted. Perfect for commercial properties and retail environments, security barriers allow you to choose which vehicles and pedestrians have access to your property and parking.